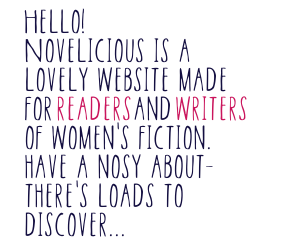 I loved all the birthday posts on Novelicious last week particularly the Behind the Scenes pieces from my colleagues. Anna's in particular struck me. Obviously I read her weekly columns, but to see her publishing journey summarised in a paragraph is impressive. It got me thinking about other authors who successfully self-published and have consequently gained traditional publishing deals. These are just a few of the publication stories I find inspiring. 2. The Pollyanna Plan by Talli Roland – Talli has had a varied and interesting writing career. Traditionally published, travel guides, self-published and now back to traditionally published, but also still self-publishing – phew. She is what is becoming known as a hybrid author, which you can read a little more about on The Guardian website, where she talks all things self-publishing. Talli is now published by Lake Union Publishing (part of Amazon Publishing) and The No-Kids Club, her most recent novel, was released in June this year. The Pollyanna Plan is about Emma who is usually more realistic than positive. But after a series of upsetting events she decides to live life like Pollyanna, always looking on the bright side. 3. From The Cradle by Louise Voss and Mark Edwards – Another inspirational writer story (don't give up! ), which the authors explain on their website. They have also been interviewed by Novelicious. Louise and Mark have written many books, both together and separately. They've self-published, gained a traditional deal, lost a traditional deal, then self-published and now their latest book, From the Cradle, will be released in October by Thomas & Mercer, part of Amazon Publishing. From the Cradle is a psychological thriller about every parent's worst nightmare. 5. Yours Truly by Kirsty Greenwood – I couldn't write a post about inspirational writers who've self-published before securing a traditional publishing deal without mentioning our Kirsty. Kirsty found an agent and her book, Yours Truly, did the rounds at the publishing houses. Alas, there were no takers. Until Kirsty self-published and sold over 100,000 copies. A publishing deal was soon on the table. Her second novel, The Vintage Guide to Love and Romance, is out later this year. What self-publishing success stories inspire you?